When you call Arnaez Law Office, you will receive a prompt response from attorney Ivan Arnaez. Discuss your case and start taking action by dialing 812-618-4862 or fill out an online contact form. If you speak Spanish so does Ivan. So don't be surprised if he answers in Spanish. Se habla Espanol tambien. It is a fact bad things can happen to good people. Whether you foolishly had too much to drink and were stopped for DUI, or an argument got out of hand because your big mouth would not let it go, contact attorney Ivan Arnaez to work toward not having to pay for it the rest of your life. When you are about to face a criminal accusation or have already been arrested, the most important call you make is contacting Ivan Arnaez. If you cannot do it ask your Mom to call. Mr. Arnaez will work one-on-one with you throughout the entire process. From listening to your side of the story, working toward plea agreements, or taking the fight to the prosecution during trial, Mr. Arnaez will be your voice and fight toward your second lease on life. Ivan is Mom friendly. He will let your mom, wife, or girlfriend know what is going on in your case too if that is what you want. When you find yourself in jail, tell your family to call Attorney Ivan Arnaez. When you call, he will answer. If you hire him he will fight. After an arrest, you do not need your lawyer to tell you what you want to hear. 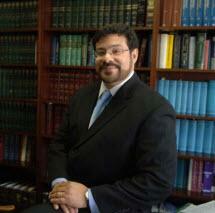 Attorney Ivan Arnaez will give you honest, straightforward counsel so you know exactly where you stand. With a plan in place, you can take immediate action to protect yourself moving forward.